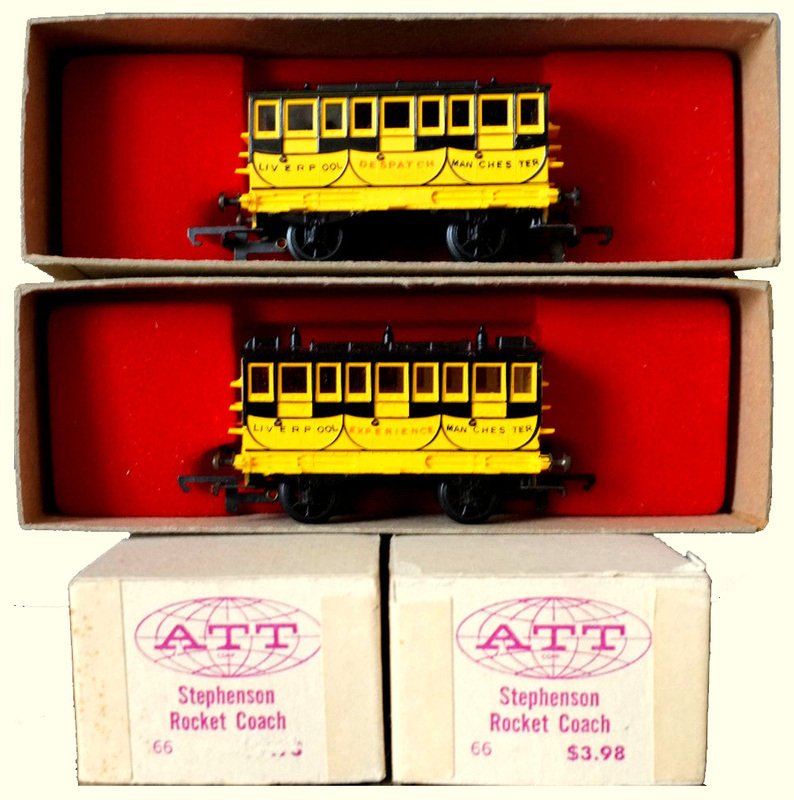 The coaches were originally catalogued in 1967 as number 399 - plastic boxes. 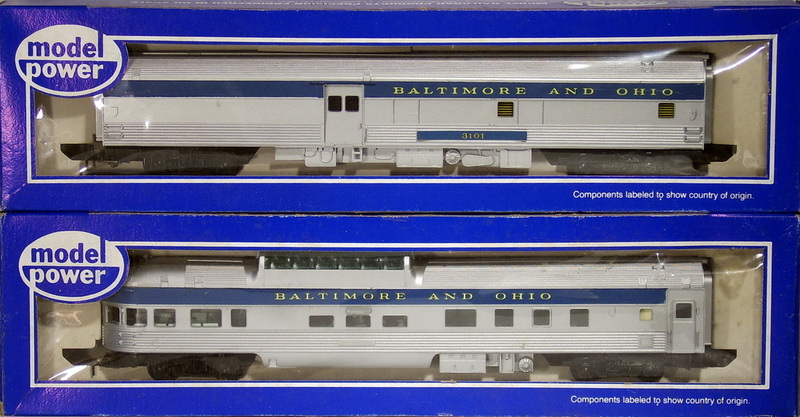 Later cardboard boxes carry the number 66 - as listed in the 1969-70 Catalogue. 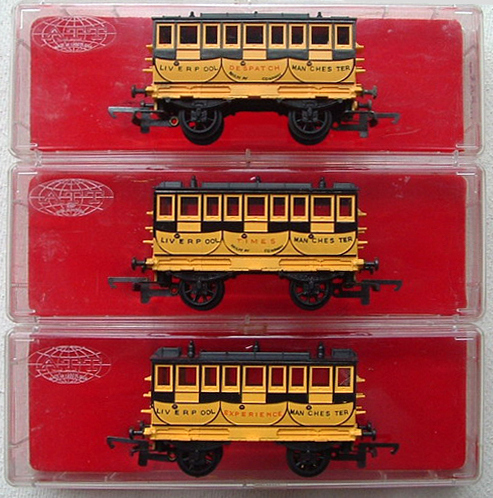 The coaches were named either 'DESPATCH', 'EXPERIENCE' or 'TIMES'. 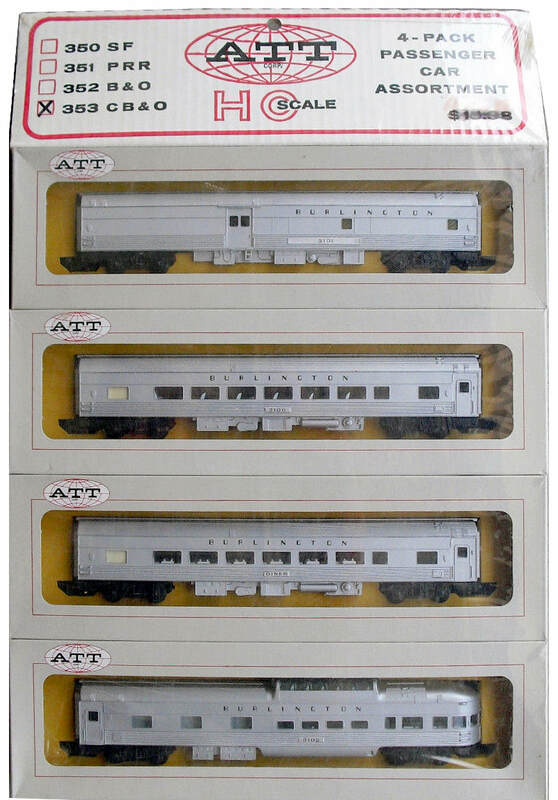 ATT ceased trading in 1970. ​The remaining stock was sold off and repackaged, after the Summer of 1971, in blue boxes under the MODEL POWER trademark. 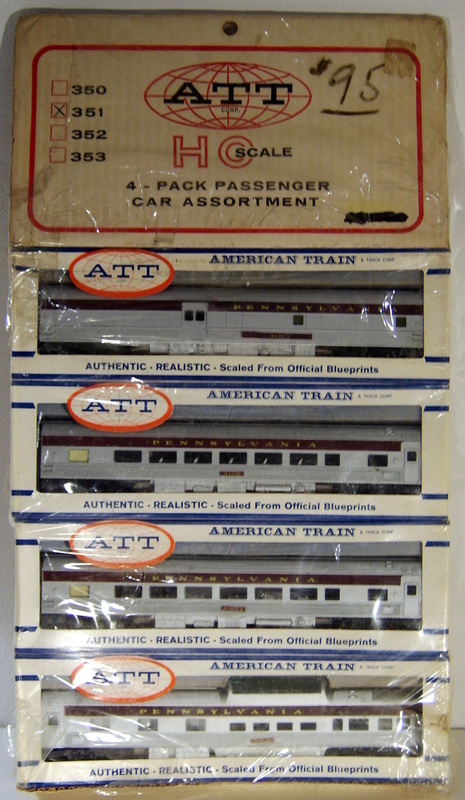 ATT Burlington Budd Streamline Passenger Cars retailed in a 4-pack; still wrapped in their original shrink-wrap. The red label shows a retail price of $8.97 - a substantial saving on the $13.98 quoted retail price or the $15.92 that it would have cost to buy the items individually.